The icon. Redefined. Speed Triple. Real world performance for riders who know. The definitive streetfighter. The benchmark. The best. In a word. Legend. 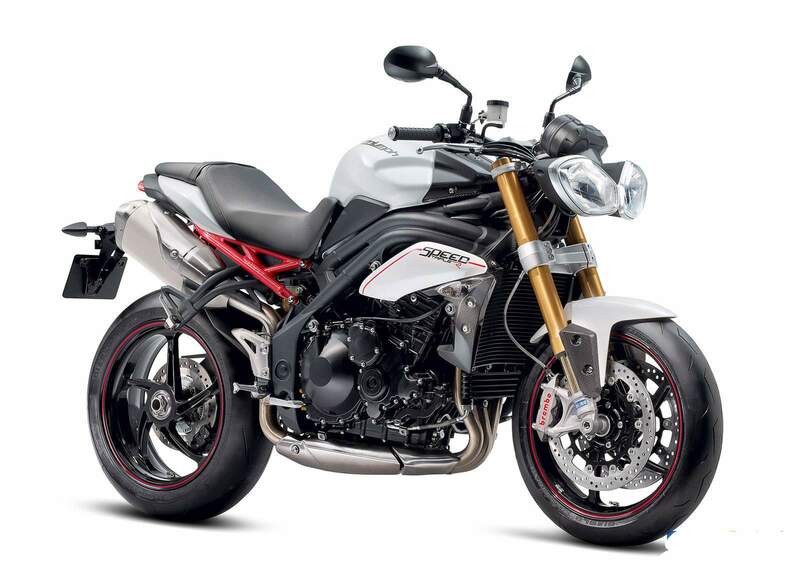 Triumph has taken all that’s good about the Speed Triple and created a brand new model. A new chapter in the legacy. All-new chassis is the sharpest tool in the box. All-new ABS from Nissin for the greatest stopping power. And that 1050cc triple. Oh yes, the engine. And the look? Short. Stubby. Aggressive. Twin headlights. Single sided swingarm. Alloy bars. Pure Speed Triple. Improved. All-new chassis and riding position inspires total confidence with light and precise handling that is perfectly balanced for an incredibly planted and stable ride. Triumph’s trademark twin headlights, single-sided swingarm and high-level silencers have all been restyled for a more aggressive and contemporary look, as well as improved performance, while the soulful 1050cc triple has been refined and uprated with 7% more torque for an even more engaging experience. 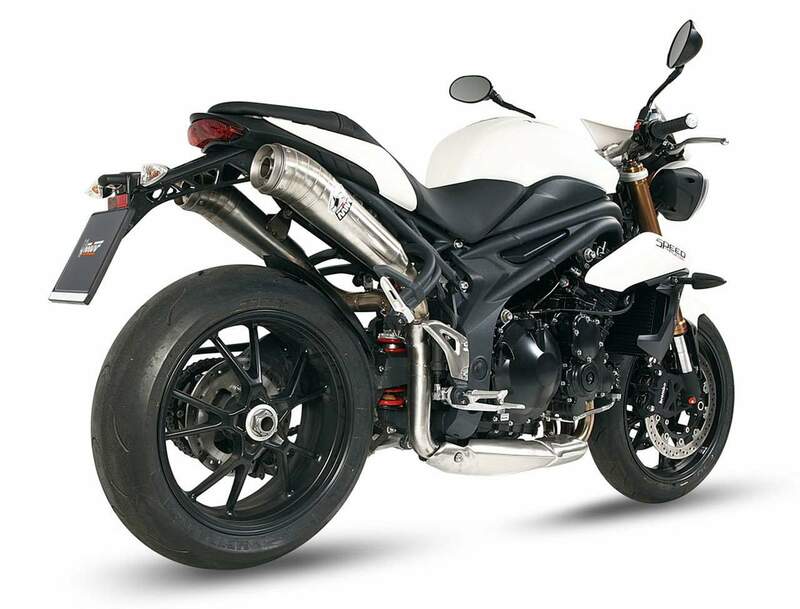 The 2012 Speed Triple sports the kind of specification you would expect from a top-of-the-range naked sportster. Track derived specification includes four-piston Brembo brakes for eye-popping stopping power, fat alloy handlebars, fully-adjustable 43mm upside down forks for maximum control and a comprehensive instrumentation that includes lap timer and programmable gear shift light. The 2012 Speed Triple also comes with optional anti-lock brakes for the first time and is available with a host of genuine accessories to personalise the look, performance and practicality of this exciting machine. Liquid cooled 12-valve DOHC in-line three-cylinder 1,050cc engine. Max torque. Max pulling power. 1050cc triple delivers a punch unlike any other. More torque and greater refinement than ever. Design and function. All-new twin-tube over engine design is carefully sculpted to accentuate the styling while delivering class leading agility and stability in one package. Twin headlamps up front are a new interpretation of the classic ‘bug-eye’ look while classic Speed Triple cues remain throughout, including single-sided swingarm, twin silencers and that stubby, aggressive stance. Coded key immobiliser comes as standard. Sophisticated ABS and tyre pressure monitors are options for first time on a Speed Triple.